River House at the Trailhead offers accommodation with a seasonal outdoor swimming pool and free WiFi, and is situated in Spokane Valley. Each unit is fitted with air conditioning, a private bathroom and a kitchen. Some units have a seating area and/or a balcony. At the apartment guests are welcome to take advantage of a fitness room. Cycling and hiking can be enjoyed nearby. Spokane is 20 km from River House at the Trailhead, while Coeur d'Alene is 35 km away. 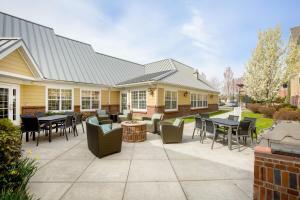 The nearest airport is Spokane International Airport, 31 km from the property. When would you like to stay at River House at the Trailhead ? Each day we'll check prices and send you an email for your selected dates at River House at the Trailhead. If you don't have specific dates but would like to check prices for say next weekend or say next month we can check the price too. Click to write a review and share your experience of River House at the Trailhead with other travellers.